As the Chinese New Year is approaching, the city is full of festive moods, from decorations on streets to the hustle and bustle in wet markets and stores. People in the city are all gearing up for this important festival. 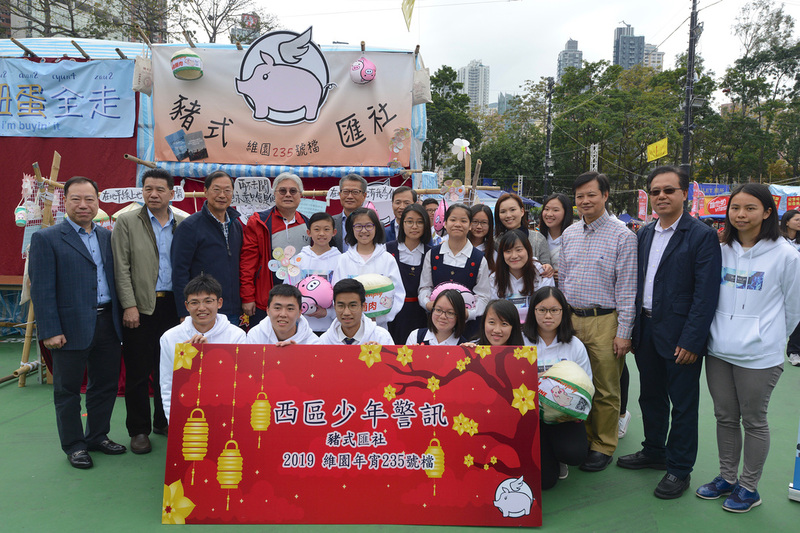 A few days ago, I took a chance to visit the New Year market in the Victoria Park. 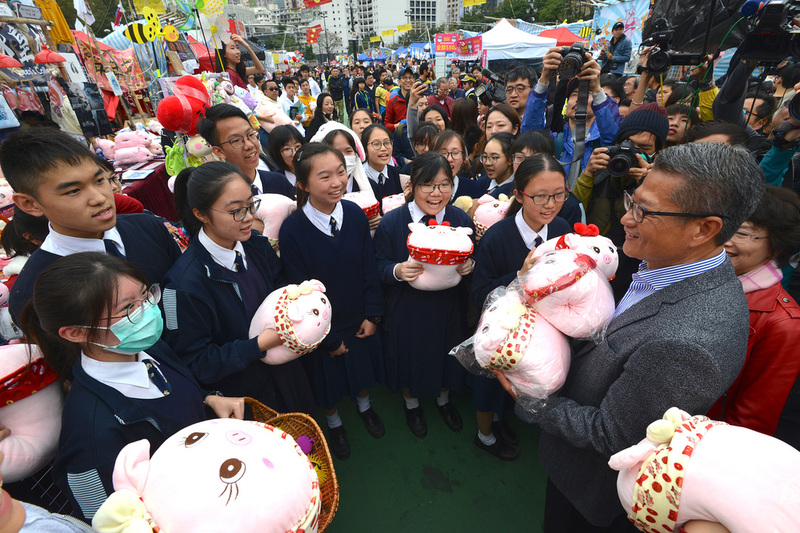 With the coming Chinese New Year being the Year of the Pig, stalls in the market are selling wide range of products under the theme of “pig”, which are very creative and blended with local cultures. During the tour, I met with some college students running stalls in the market, and found their self-designed piggy dolls very impressive. 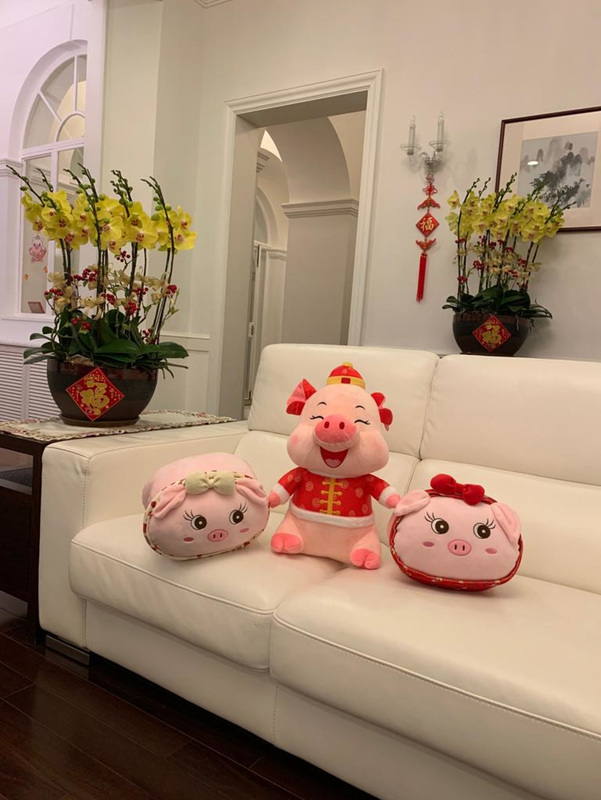 These dolls have now become the greeting ambassador of my official residence in the New Year. Unique designs, good quality and marketing are all important elements in making a product stands out in the market. A good understanding of the need and demand of the market and a reasonable pricing strategy are also essential. Particularly, during economic downturn, uniqueness will be the key factor for a product to survive and succeed. Last year, the total value of retail sales in Hong Kong amounted to more than $480 billion, i.e. a year-on-year increase of 8.8%, which is the best performance over the last five years. However, retail growth rate indeed has gradually slowed down from over 10% in the first half of 2018 to a single-digit growth in the second half of the year. In last December, the value of retail sales is only $44.9 billion, i.e. a year-on-year increase of 0.1%, which is the weakest performance over the last 18 months. With the uncertainties in the external environment and the slowdown pressure of local consumption, apart from maintaining a robust financial position, it is even more important for enterprises to enhance product competitiveness and operational efficiency through creativity and application of technology. In my Budget last year, I allocated resources to promote the development of the creative industry and support Hong Kong enterprises in exploring new markets outside Hong Kong, which I believe could increase the overall competitiveness of Hong Kong enterprises in the long run. For the coming Budget, I will continue to support businesses, preserve employment so as to stabilise the economy, and improve the livelihood of people. Lastly, may I wish you all a prosperous and fulfilling new year ahead!